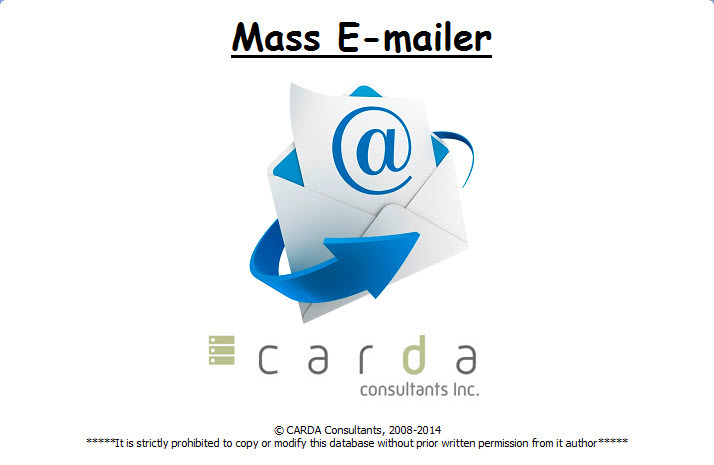 MS Access Mass Email Database – CARDA Consultants Inc. 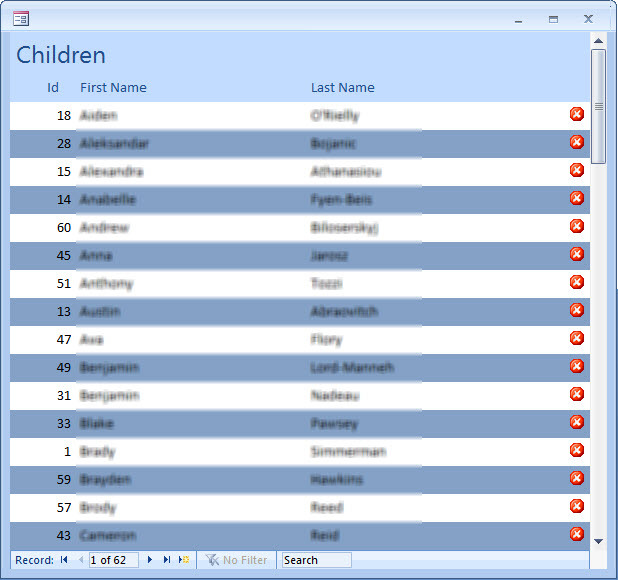 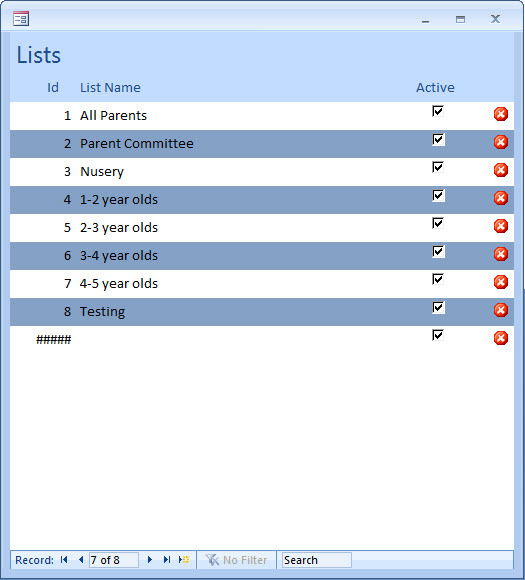 Developed for my daughter’s daycare center, the following is a simple mass emailing database to send out individual emails to recipients of various lists at the click of a button. 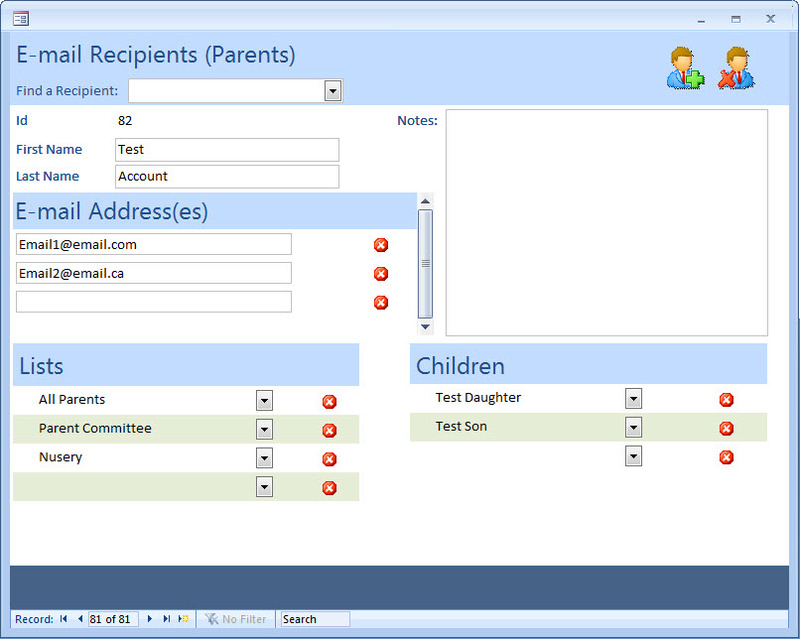 Some people refer to this type of program as: a Mass Email program, an Email list program or a Distribution List Email program. 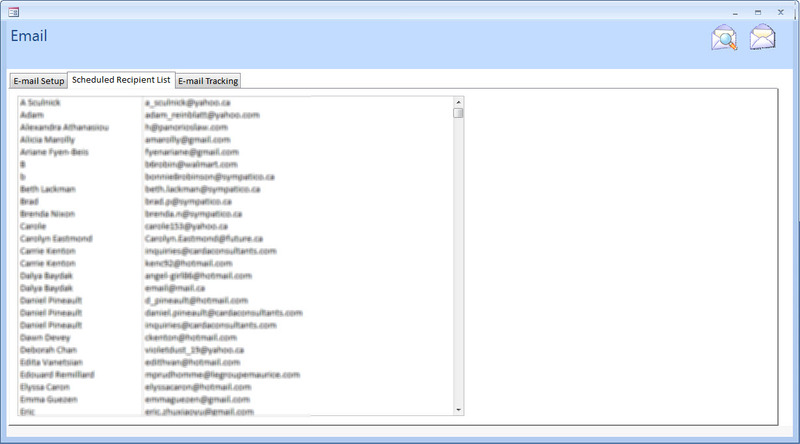 Send yourself a test e-mail to verify everything is as you wish. 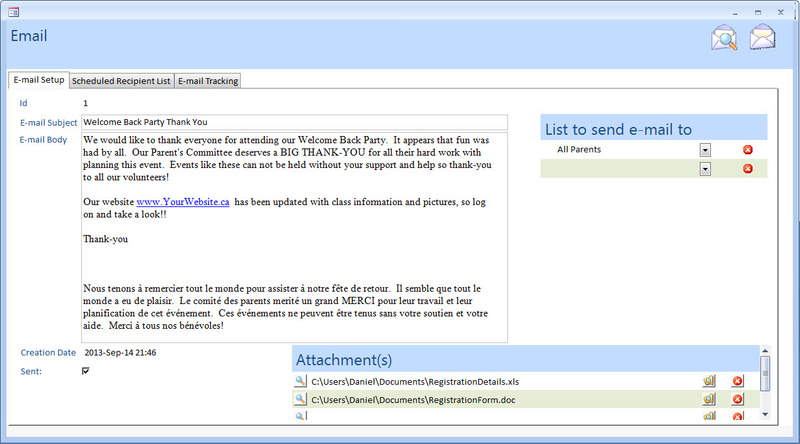 You can review the sending process. 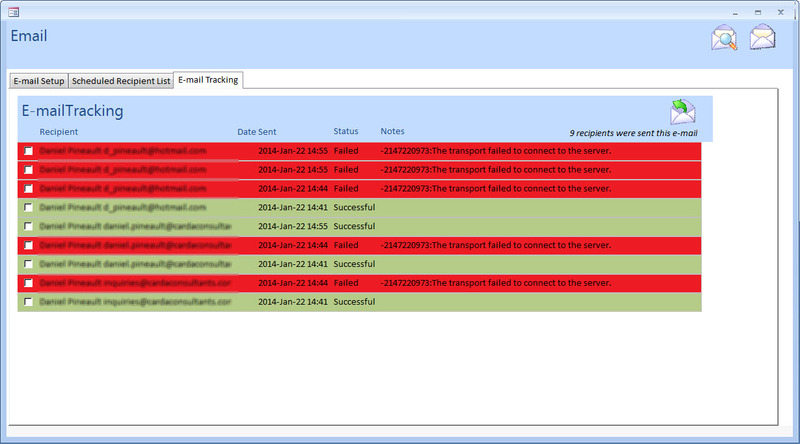 Color coded for quick analysis of the status of each recipient’s e-mail. 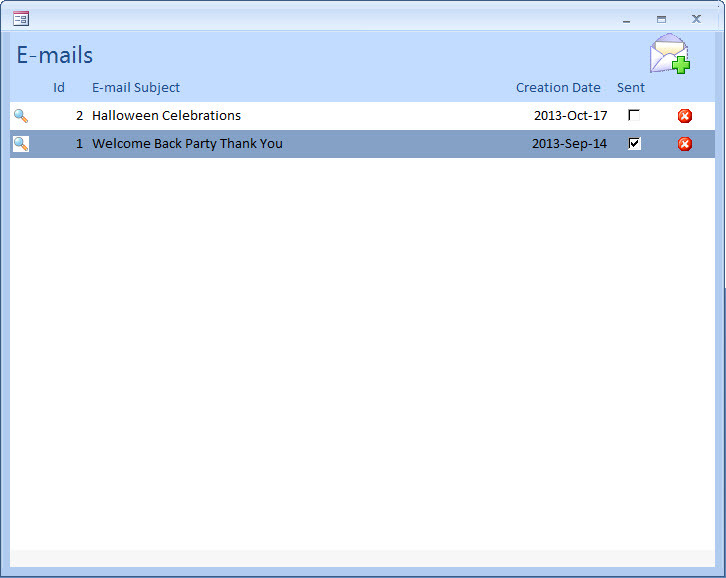 You can resend an e-mail to selected individual(s) at the simple click of a button.